Bourgeois fantasy with 3 separate rooms! Since the turn of the millennium, this part of the city became the epicenter of blooming ruin-pub culture. The quarter in which these unique bars give the mood of the evening also has a strong heritage: during WWII, this area was the ghetto. This cultural hit provides the special atmosphere of the district. 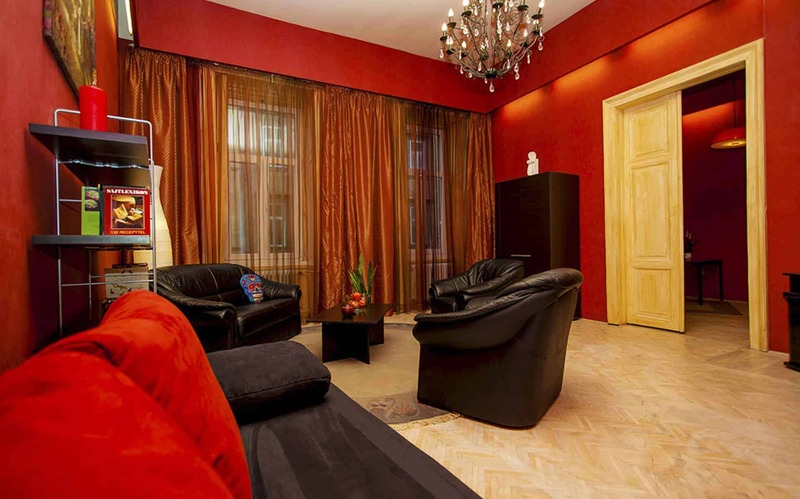 Situated in a very central position, this apartment offers great pleasure for those who wish to soak up the vibe of Budapest’s inner city. May it be cultural or historical interest, classical or modern music, movies, theaters, tea houses, night clubs that bring you here, this is the place for you. Apartment Ginestrata is a spacious, bourgeois flat with three separate rooms. It has a well-equipped kitchen, an airy dining area and a bathroom. The flat is comfy for even eight people! 1 corner away from the flat, you will find Liszt Ferenc tér with the biggest selection of cool bars and international restaurants, not to mention the Liszt Academy of Music! Within 8 minutes walk, you can reach Oktogon, i.e. the core of the city. From there you can map the whole capital by metro, bus or tram. Castle Hill or Városliget are less than 30 minutes away.